We are often asked by non-clients how to successfully build & manage their small budget AdWords campaign. Today I’m going to reveal 5 tips that will help you run a profitable small budget AdWords campaign. This is great for anybody that manages a campaign in-house or even just to understand how it should be done by your ad agency or AdWords consultant. Google Text Search ads are, by far, the highest converting ads you can run for your business. These ads target people who are actively seeking your products & services; what could be more effective than that? Display ads (which includes YouTube video ads) can bring in the odd lead/sale but generally are most useful for developing brand awareness. Unless you can justify allocating a budget to this more traditional form of advertising (without any expectation of immediate return) you should avoid it. Google has recently made the default campaign type “Search Network with Display Select.” Be wary of this and change it to “Search Network only” before going any further. The exception to the “no display” rule is Remarketing. If you have enough budget consider setting up a Remarketing search/display campaign to retarget previous visitors to your website. These leads often convert as well as, or even better than paid search. Make sure, of course, that you set up conversion tracking then enable “Enhanced CPC” bidding and turn on “optimize for conversions” in your ad rotation settings. Unless you plan to be VERY hands on these settings will partially automate optimization for conversions with respect to your keyword bids and your ads. You’ve got a small budget that probably won’t go very far in a broad target market. To make the most of it narrow your targeting. If you mostly sell locally consider making the geographical target a small radius around your office rather than the entire city or province/state. Be sure also to select “in my targeted location” rather than the default to avoid clicks from people outside of your service area. The exception to this is if you expect people to travel to your business from other places – i.e. your business is an “attraction” for visitors. 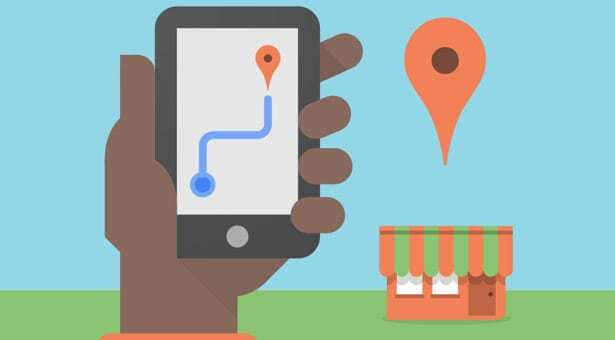 Some businesses like restaurants do extremely well with mobile ads because people are likely to check their smart phone for a place to dine that’s close-by when they’re out and about. Other businesses, such as many that sell B2B are unlikely to convert mobile traffic because their clients have desk jobs. Consider starting with a bid adjustment for mobile devices; either up or down depending upon which market you serve. You can always change this later if your guess isn’t on the mark. Most importantly, if your website isn’t mobile friendly you should immediately implement a -100% bid adjustment for mobile ads. If you’re only open certain hours and response to your clients needs to be immediate in order to “close the deal” you should set up a custom schedule. In this scenario you’d stop your ads from running during non-business hours. For example, if your restaurant closes at 10 PM consider stopping your ads at 8:30 PM; you don’t want people wandering in 30 minutes before closing, right? Using keywords that relate to your brand may seem counter intuitive if you are already ranking in top spot organically – BUT studies show that using branded keywords in addition to being in top spot can generate about another 50% in additional clicks. 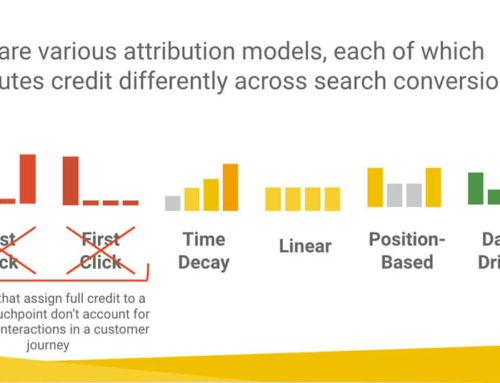 Since your own brand will be low CPC and high ROI these are a must for AdWords. Avoid generic higher volume keywords in favour of longtail keywords with higher relevance to what you offer. This will allow you to bid lower, give you a higher CTR (further reducing your CPC) and will convert better on site. All this adds up to more clicks within your budget and more conversions. Also consider using exact match, phrase match, and broad match modifiers for higher relevancy. Lastly be sure to add negative keywords to avoid bad clicks. Update this list frequently, especially as data rolls in over the first few weeks. Any time you add new keywords check back in a few days to look for bad search terms that may be driving your costs up and you ROI down. 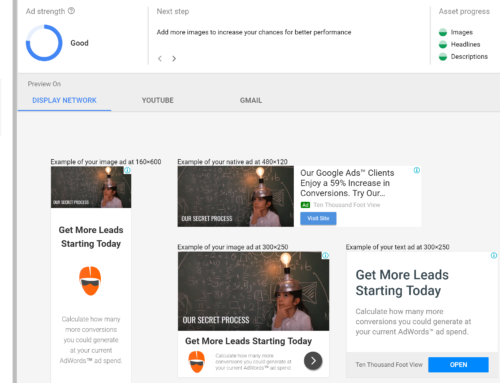 Every ad group you run should get at least 10-15 clicks per day. If your total monthly budget is $1,000 and you expect to pay an average of $2.00/click that means you have a total of 500 clicks to spread around. Five hundred clicks / 30 days = 16.6 clicks per day which means in this scenario you should only have one or possibly two ad groups within one campaign. Likewise you shouldn’t spread out your clicks over too many keywords, no more than 10-20 keywords per ad group. Ok, that sounds fine and good but what if you have 10 different products to sell? You are going to have to make a choice; pick the products you believe you have the best chance of selling through AdWords. These products are almost always your regular “best sellers” so start with those. If you absolutely must run multiple campaigns ensure you set up a shared budget that can be split across all your campaigns. This will avoid the probem of having a whole bunch of tiny campaign budgets that don’t get filled each day. Don’t get carried away with testing a lot of different creatives at once. The more ads you have running per ad group the longer it will take in order to identify a clear winner. Just use two per ad group and check them frequently. With “optimize for conversions” turned on Google will automatically serve the higher performing ad more. When you see a clear winner pause the lower performing ad and create a new one to test. Over several iterations you should start to see which ad elements are the ones that are generating the highest conversion rate… use those elements in new ads but also don’t be afraid to try something completely different to shake things up. Finally, start with targeting the bottom of page 1 for all your keyword bids. This will allow you to get as many clicks as possible within your daily budget. In the next tip we’ll explore bidding a little more. This is by far my important tip. It is human nature to agonize over the CPC but that number is almost meaningless. The only important number is your profitability. Make sure you know what you can afford in terms of cost / converted click and then focus on getting to that number. Once you achieve a cost / converted click that’s affordable continue to optimize your campaign using best practices and at the same time bid up on high performing keywords / add keyword variations for more traffic. In combination you want to maintain your cost / converted click while increasing the number of conversions… thus constantly increasing your profits from the campaign.